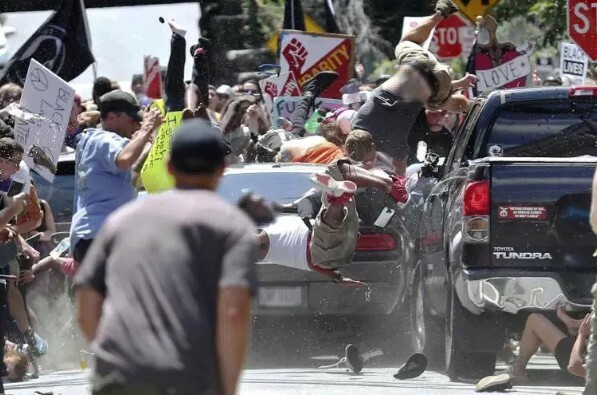 A peaceful crowd protesting against a white nationalist rally in the small Virginia college city of Charlottesville were slammed by a car on Saturday, resulting in the death of a women two hours after protests turned violent among the two groups in the United States. A State Police helicopter crashed later on near the city while monitoring the situation, killing the two officers on board. Police say there is no indication of foul play, but the incident remains under investigation. Conservative blogger Jason Kessler had called for what he identified as a “pro-white” rally against the city removing a statue of the late Confederate General Robert E Lee, seen as a figurehead of the south during the US Civil War. 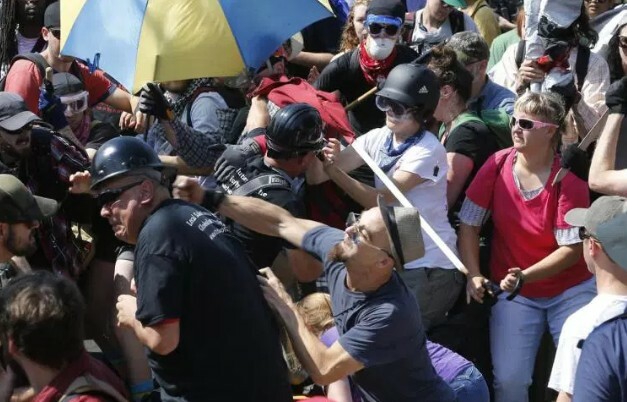 Violence in the city brought an injured tally to over 30 individuals, nine of which were wounded by the car slamming into the peaceful crowd counter protesting white nationalists, those identifying as Nazis and alt-right political movement supporters. US President Donald Trump responded multiple times throughout the day via Twitter, calling for the unification of all Americans against violence. Mr Trump blamed “both sides” for the aggression largely attributed to the pro-white ethnicity protestors. 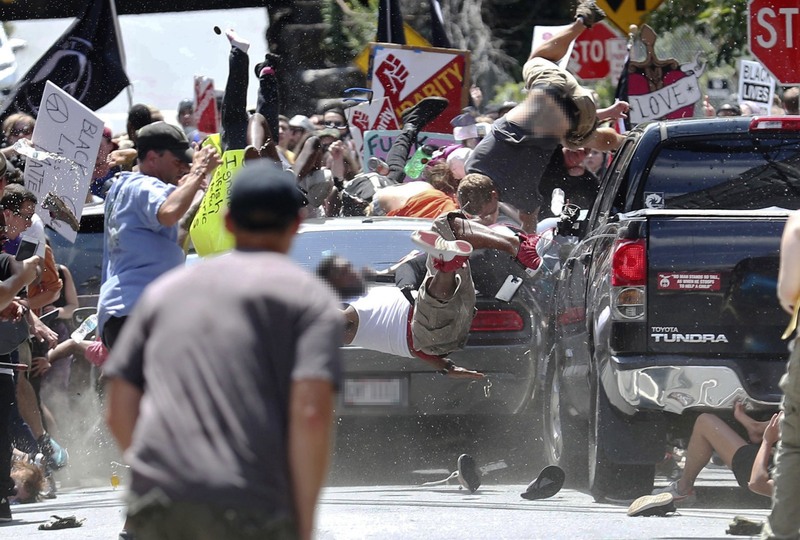 He did not, however, identify attackers as white nationalists or denounce the far right, recieving criticism from both sides of the aisle and across the political spectrum. “We’re closely following the terrible events unfolding in Charlottesville, Virginia,” the president told media gathered in Bedminster as he takes a working vacation. A reporter inquired whether he had spoken out strongly enough against the alt right, a question Trump ignored. Republican Senator Ted Cruz called for the US Justice Department to investigate the situation as “domestic terrorism” late on Saturday, a first domestic crisis for the Trump administration. A woman aged 32 was killed by car driven by James Alex Fields Jr of Ohio, who was brought into custody before being identified by police Saturday night. 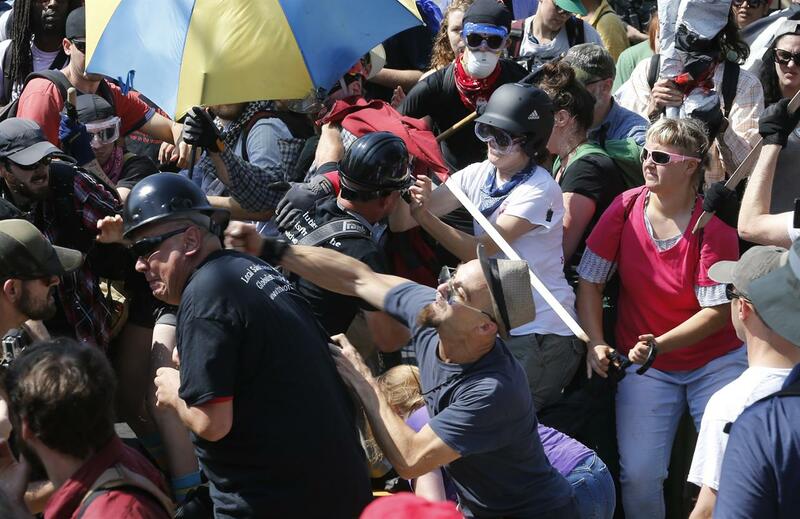 Two others have been arrested, according to the Charlottesville Police. Republican Senator Ted Cruz called for the US Justice Department to investigate the situation as “domestic terrorism” late on Saturday. The Federal Bureau of Investigation have also opened a civil rights probe into the fatal car attack. US Attorney General Jeff Sessions said racial bigotry and hatred “cannot be tolerated” while supporting the FBI investigation. 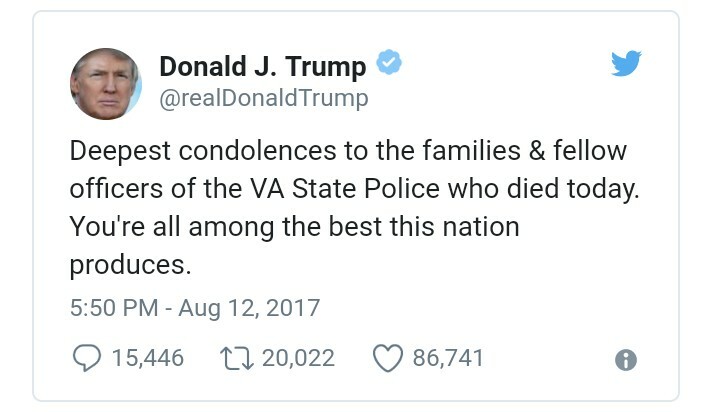 Lt H Jay Cullen, 48, and Trooper-Pilot Berke MM Bates of the Virginia State Police were killed when a Bell 407 helicopter smashed into the ground seven miles out from Charlottesville at 4:50 pm EST. No injuries were sustained from civilians on the ground, but the cause of the crash remains unclear. However, police say they do not suspect intentional sabotage or foul play. President Donald Trump offered support in a tweet that gave his “deepest condolences”. The crash came just hours after the car attack. Featured image from AM 1380 The Answer. More details to follow. With files from The New Union and Berning News.